If you’re interested in our services, you can reach us at: intuitiveedgecoaches@gmail.com. Deborah Atherton and Leslie Zeigler first met when they were both working at the Creative Arts Rehabilitation Center, which specialized in helping people through arts therapy. This is where they began their conversation about creativity as a tool for self-discovery and emotional wellness. 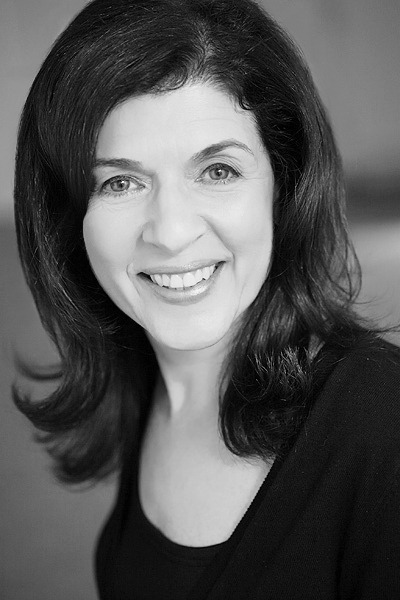 Deborah Atherton is a writer, librettist, and arts consultant, living in New York City. A graduate of Yale University, her work for music theater and opera has been presented by Lincoln Center Serious Fun, Opera Theater of St. Louis, CAP21, the Woman Becoming Festival of the Culture Project, Parabola Arts, the Leonard Nimoy Thalia Theater at Symphony Space, and National Public Radio. She received a commission for her first opera, Under the Double Moon, written with Anthony Davis, from Opera Theater of St. Louis and for her second, Mary Shelley, written with Allan Jaffe, from Parabola Arts. Under the Double Moon was published in book form by Opera Theater of St. Louis and G. Schirmer. Deborah has been a fellow at the Eugene O’Neill Music Theater Conference, and an Artist-in-Residence at Opera Theater of St. Louis. Her short stories have appeared in a number of literary magazines, including The Distillery, Paper Streets, Reflections: A Literary Journal, Westview, and others. She has been Executive Director of the American Composers Alliance, and Associate Director of the American Music Center. She has worked with a number of published authors, helping them to bring their work to print, and also works as an arts consultant and strategist with a variety of literary, media and music organizations. Leslie Zeigler is a Licensed Clinical Social Worker, psychoanalyst, and coach. Leslie received her MSW from Hunter College School of Social Work. She received her Certificate in Psychoanalysis and Psychotherapy from the Postgraduate Center for Mental Health. Leslie was later awarded the designation of Board Certified Diplomat in Clinical Social Work. Leslie has taught at the New School and a number of organizations in the New York metropolitan area, presenting workshops on personal growth and life transitions. At the Creative Arts Rehabilitation Center, she worked closely with a variety of arts therapists. Leslie’s coaching focuses on creative blocks, dealing with criticism, and other issues related to creativity and wellness coaching (identifying health or fitness goals and finding a way to achieve them). Her clinical specialties include the treatment of depression, anxiety, relationship issues, and critical life transitions. Her treatment approach is eclectic. Leslie is a member of the New York Society for Clinical Social Work and NASW. I now have two friends involved on line with creativitiy. both their children and writing passion. I like this site very much! I, too, have a professional life, children, and a passion for writing. Though I’m a columnist for the Japan Times (under the name Kit Nagamura) and Shukan ST, it’s poetry that I turn to in the wee hours. Looking forward to reading your posts in the future. Thank you! Thanks, Kit, it’s in the wee hours we need the poetry – and the tea, often enough. And once in a while, I hope, people visit us at 3 AM, when they are feeling a little discouraged about where the next inspiration is coming from.